This is a simple, fast, sure-fire recipe that delivers full flavor and tender chicken grilled on your GrillGrates. Mix ingredients in sauce pan on stove top over medium heat for 4 minutes or just until sauce starts to boil, keep stirring. Coat meat generously, all sides. 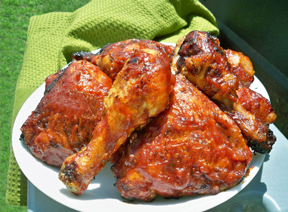 Place BBQ chicken on preheated GrillGrates (8 to 10 minutes on Low-Low/Med Heat, lid down). Grill chicken with lid-down on Low-Low/Med Heat. For charcoal, preheat your GrillGrates after the red hot peak, gray coals only (8-10 minutes), lid closed. Grill chicken quarters and breasts for approximately 15-20 minutes total. 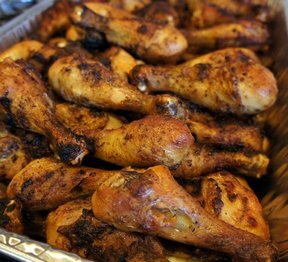 Grill drumsticks for approximately 10-12 minutes. Grill wings for approximately 6-8 minutes. Use the GrateTool to turn in 3-4 minutes. NOTE: Judge the initial sear marks to get an indication of how hot you are cooking. If the sear marks are dark to black on the first flip, you are cooking too hot, turn down the burners. 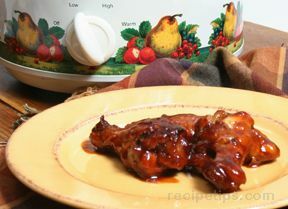 Notice how the BBQ sauce and natural chicken juices sizzles just under the meat to enhance juiciness. Your grill never sounded so good.